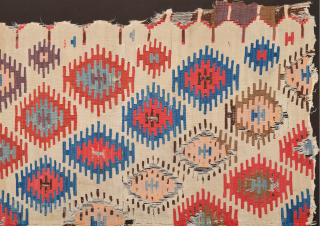 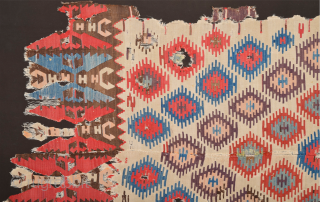 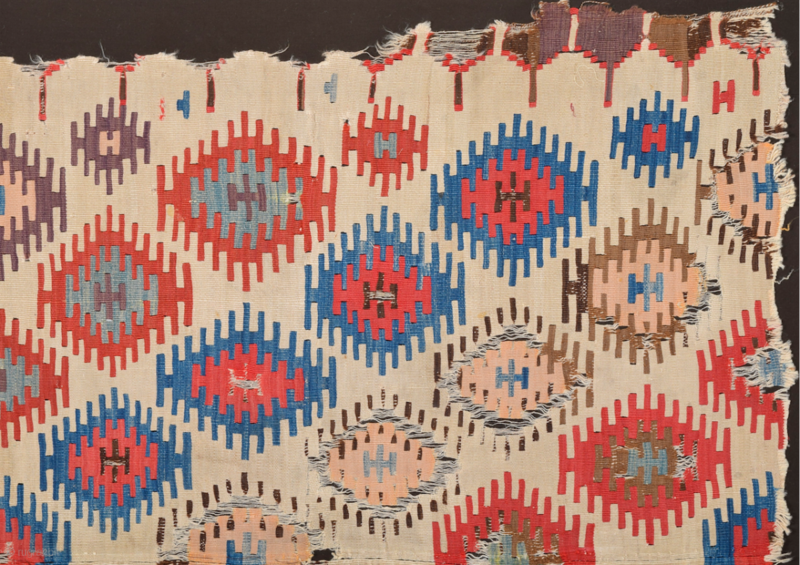 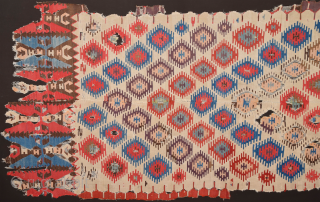 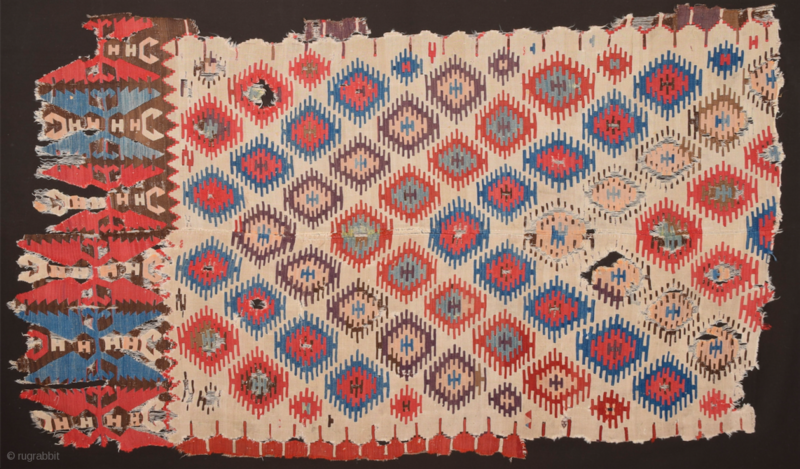 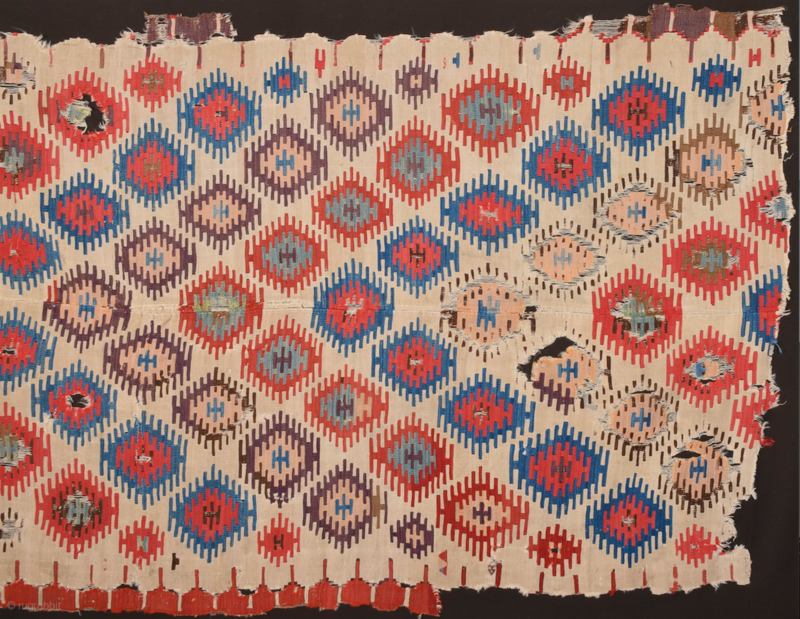 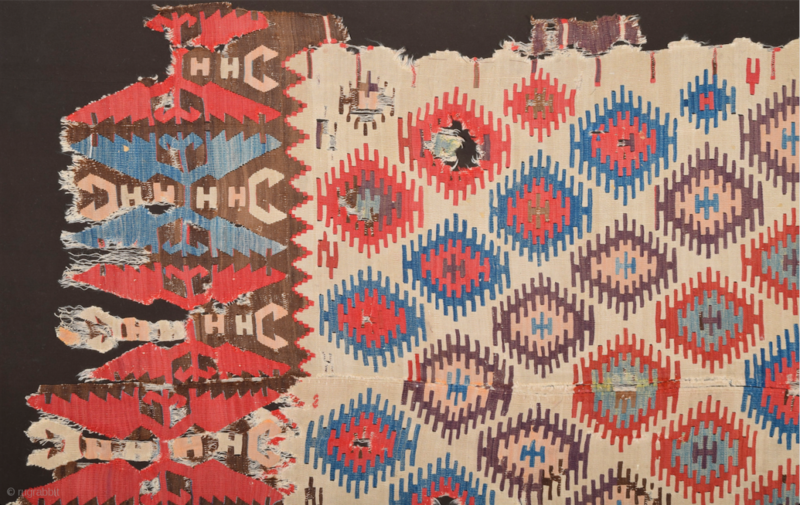 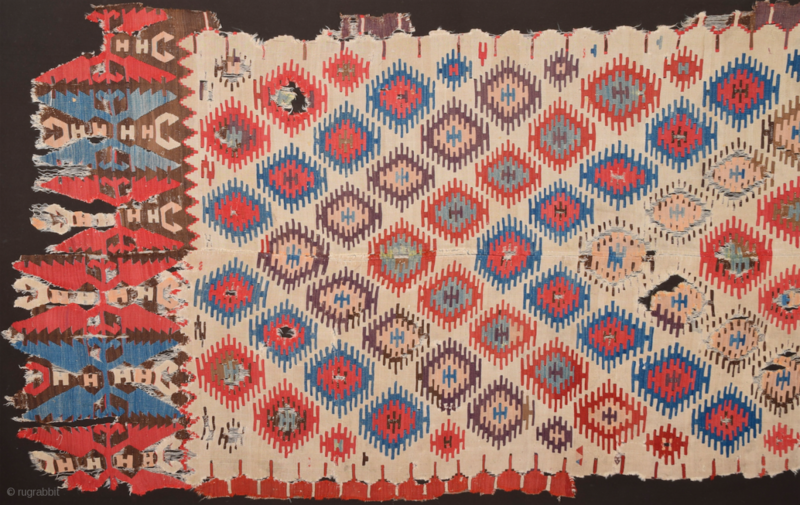 Early example!A fragment of a two-panel kilim from the surroundings of Central Anatolian Sivas, 18th Century Kilim Fragment. 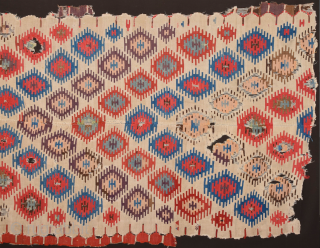 It has perfect colors and archaic ends. 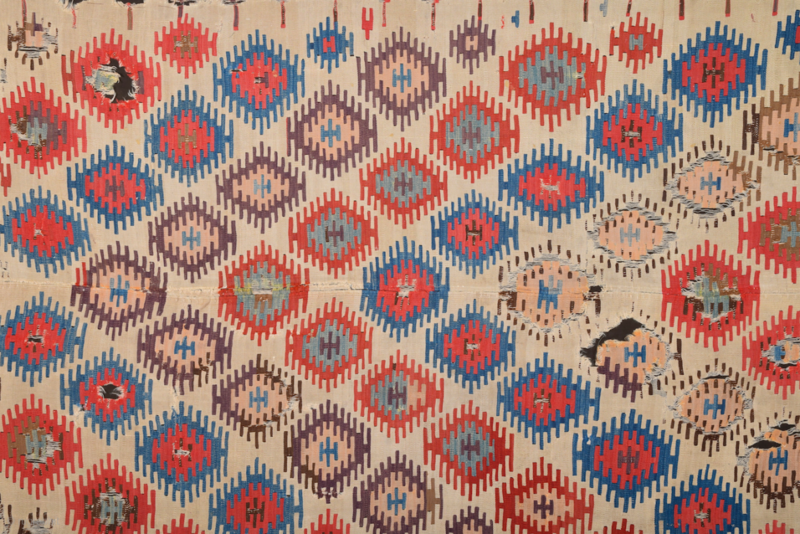 Size 135 x 230 cm It has early deep colors.